The World Science Festival is a place where one goes to see the giants of science, many of whom are household names (at least in scientifically inclined households) like E. O. Wilson, Steven Pinker and James Watson, people on top of their game in their scientific fields, as well as science supporters in other walks of life, including entertainment—Alan Alda, Maggie Gullenhal and Susan Sarandon were there, among others—and journalism (see this for an example, or check out more complete coverage of the Festival at Nature Network). With so many exciting sessions, panels and other events at the Festival, it was hard to choose which ones to attend. One of the events I especially wanted to see centered on the other end of the spectrum—the youngest researchers, just getting to taste the scientific life for the first time in their lives. On the morning of Saturday the 4th, four high school seniors from New York schools presented their research at the N.Y.U. Kimmel Center. This is the second year that the project, The Bezos Scholars Program, sponsored jointly by the Bezos Family Foundation and the World Science Festival, took place. Each student starts the program as a high school junior and, with mentoring by a science teacher and a scientist or engineer in the community, spends a year working on the project. At the end of the year, the students get to present their findings at the Festival and also get to meet the senior scientists, attend other events, all expenses paid by the Bezos Family. The event, so far, has not been broadly advertised by the Festival probably to avoid having crowds in the thousands assembling to give the students stage fright. Still, the room was filled by dozens of local scientists, writers and educators and the students certainly did not disappoint. It is important to note here that a big part of organization, coordination and coaching was done by Summer Ash (see also). To summarize the research projects, I asked Perrin Ireland to provide cartoon versions of the presentations. 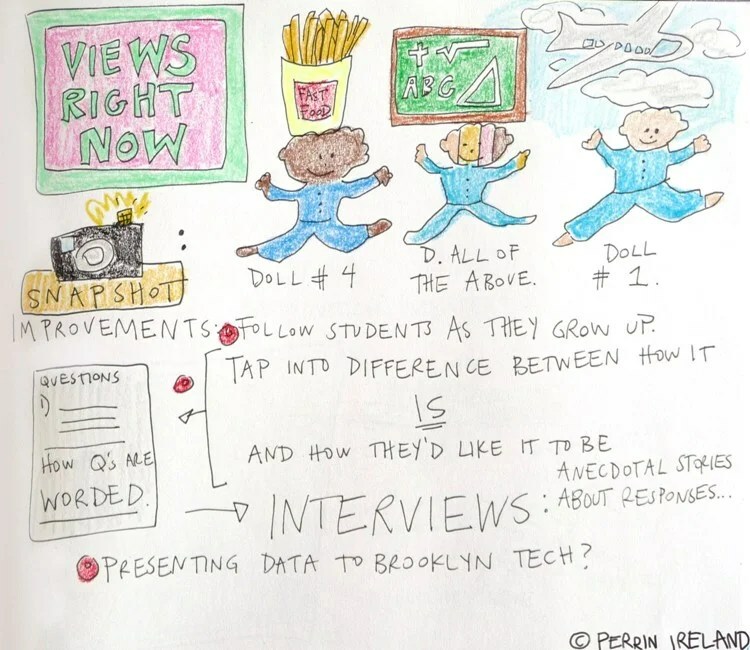 Perrin Ireland is a graphic science journalist who currently serves as Science Storyteller at AlphaChimp Studio, Inc. She uses art and narrative to facilitate scientists sharing their stories, and creates comics about the research process. 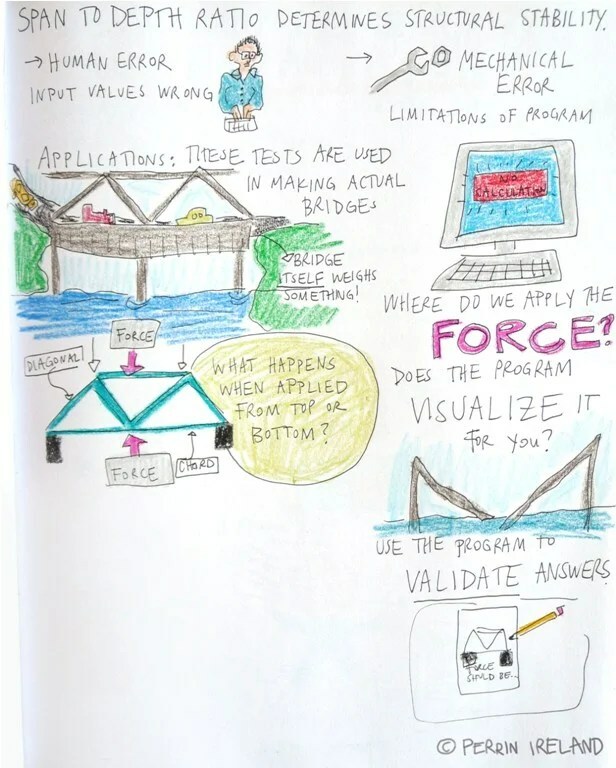 More importantly for us here, unlike most of us who write notes when attending presentations, Perrin draws them. You can find more of Perrin’s work at Small and Tender, and follow her on Twitter at @experrinment. First up was Rozalina Suleymanova from Bard High School Early College Queens. Her teacher is Kevin Bisceglia, Ph.D. and her mentor is Dr. Maria Doitsidou from The Hobert Laboratory in the Department of Biochemistry & Molecular Biophysics at Columbia University Medical Center. Aluminum is found in brain tissues of Alzheimers’ patients. 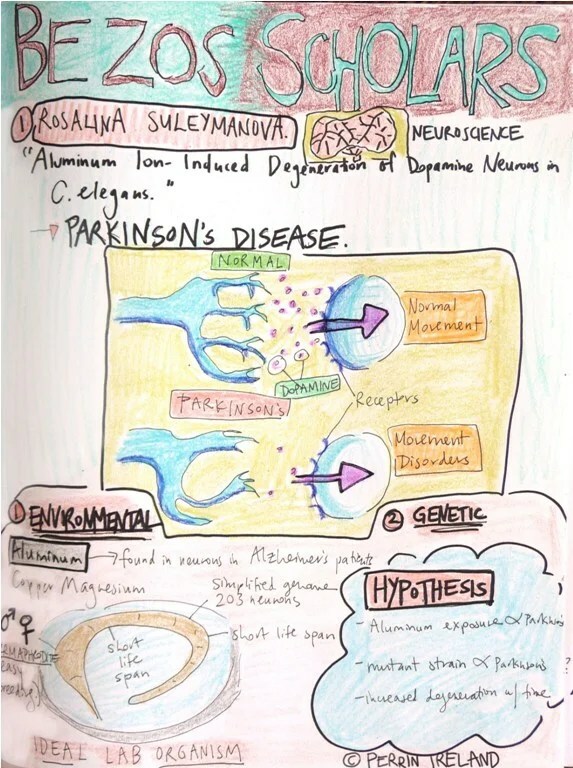 It is reasonable to hypothesize that aluminum can also affect neurons in other neurodegenrative diseases such as Parkinson’s. In Parkinson’s, it is the neurons that secrete dopamine that are affected. Human brains are large and complex, but the nematode worm Caenorhabditis elegans has a simple nervous system in which every individual neuron (out of a total of 302) is known – where it is, what neurotransmitter it uses, and what function it performs. It is also an excellent laboratory model organism, with easy husbandry and breeding, short lifespan, and genetic techniques in place. What Rozalina Suleymanova did was make a new strain of C.elegans in which only the eight dopamine-releasing neurons express green fluoresecent protein which allowed her to see them under a epiflorescence microscope. She then exposed the worms to different doses of aluminum(III) in the form of AlCl3 either as acute exposure (30 minutes of high concentration) or as chronic exposure (12 days of continuous exposure of lower concentration). Under the acute regimen, some worms died (how many – depended on the concentration). But the worms that survived showed no changes in the dopamine neurons. 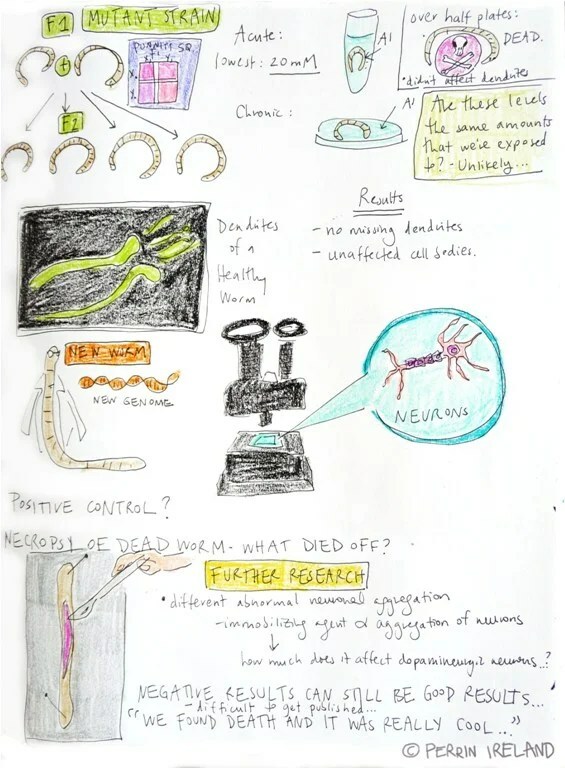 Under chronic exposure, all worms survived and only a very small proportion (not different from chance) showed some minor changes in the dopamine neurons. Thus, essentially negative results (hard to publish), but excellent work! 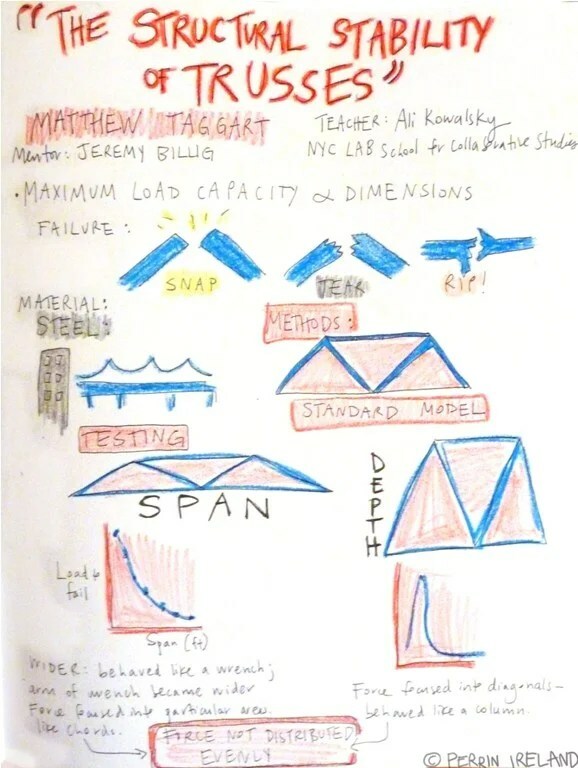 Next up was Matthew Taggart from the NYC LAB School for Collaborative Studies, his teacher and Ali Kowalsky and his mentors Jeremy Billig, P.E., Senior Engineer at McLaren Engineering Group in NYC. He used a program called Risa3D to build virtual bridges. The program enabled him to test the design of bridges built of iron trusses. By varying heights (‘depth’) and widths (‘span’) of trusses and applying vertical downward force onto them until they broke, he discovered that it is the height-width ratio, not either one of the dimensions alone, that determines the strength and resistance of this kind of bridge design. Needless to say, these kinds of calculations are performed during the process of actual design of infrastructure – using computer program first, verifying by hand calculations second, then doing test designs before starting the real construction. 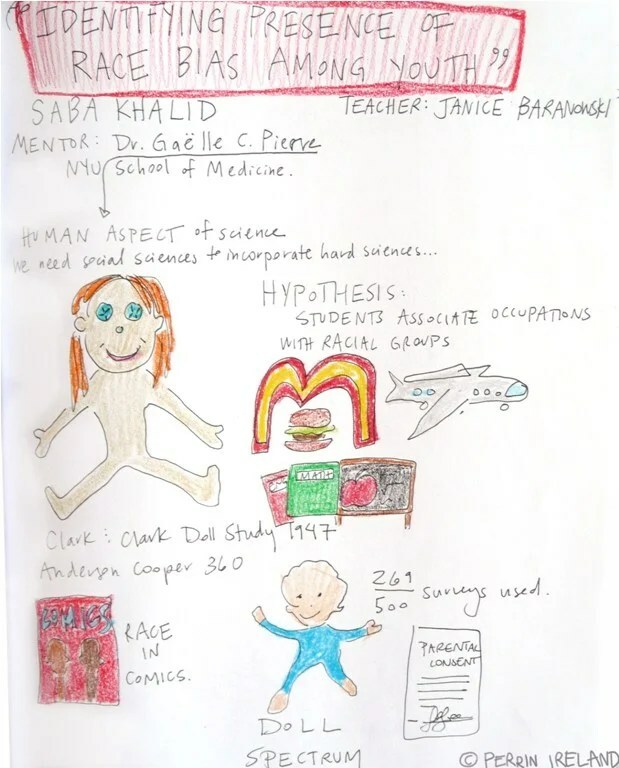 Saba Khalid from the Brooklyn Technical High School was the third student researcher up on stage, accompanied by her teacher Janice Baranowski, and her mentor Dr. Gaëlle C. Pierre from the Department of Psychology at NYU School of Medicine. She devised a questionnaire, based on some older literature on race perception, and distributed it to the students at her school. Each question showed five pictures of dolls, each with a different skin tone, and asked which of the five dolls is most likely to be working in a particular profession. Saba Khalid then analyzed the data correlating the responses to the race/ethnicity of the responder, to their socio-economic status and other parameters. Out of many different responses, Saba Khalid pointed out three examples that are in some way typical. For one, respondents of all races predominantly pointed the darkest doll as a likely employee in a fast-food restaurant. At the other end, most respondents of all races chose the lightest doll for the profession of a pilot. Interestingly, for the profession of a teacher, the answers were quite evenly spread, with some tendency for respondents to pick a doll closest to their own skin color. Finally, Tyler A. Romeo from the Staten Island Technical High School took stage. His teacher is Frank Mazza and his mentor is Dr. Dennis Shasha from the Department of Computer Science at the Courant Institute of Mathematical Sciences at NYU. There are two ways an online service can make recommendations to its users. One method tracks the user’s prior choices and recommends items that are similar in some way. Think of Amazon.com recommending books similar to the books you have looked at or ordered. The other method is collaborative filtering – the site recommend items that other users who are similar to you have liked in the past. What Tyler Romeo did was to recruit eight volunteers from his school who are active Facebook users, and wrote an app for them to install. 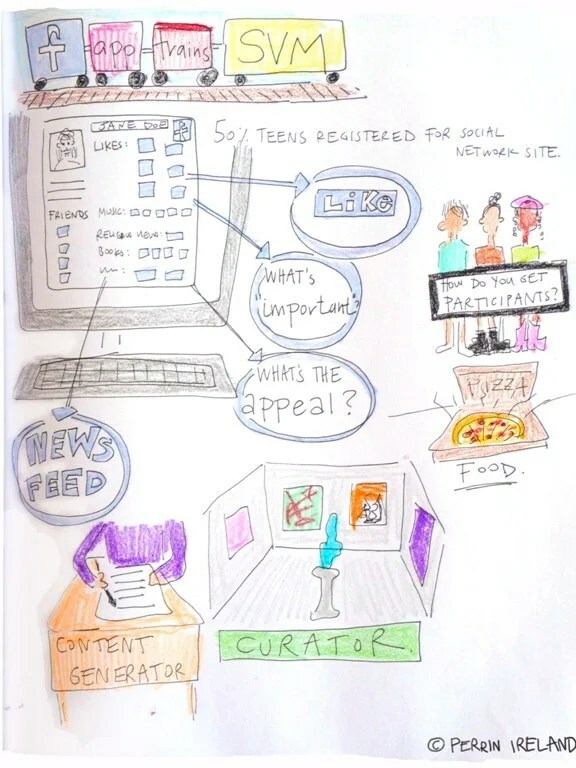 The app analyzed prior behavior of these users as to which items they found interesting (by commenting or “Like”-ing) using the type and length (but not content) of the post as a key parameter. Tyler then used a support vector machine to predict which new items on the participants’ Facebook walls would be considered interesting by others. What Tyler concluded was that a support vector machine may be able to predict which posts users will find interesting. Also, “cleaning up” the Facebook Walls to include only the “interesting” posts improved the overall quality of the posts compared to a random feed, which can possibly lead to an improved experience for the user. After the event, several of us in the audience concluded that the quality of the work we just saw was definitely higher than expected for high school – college level for sure, and the Nematode work probably as good as a Masters project. Also, the way they did the presentations gave us confidence to ask tough questions and not to treat them too gently just because they are so young. And it is there, during the Q&A sessions, where they really shone and showed that they truly own their research and are not just well coached by Summer Ash and their mentors. They understood all questions, addressed every component of multi-component questions, demonstrated complete grasp of the issues, and always gave satisfactory answers (and yes, sometimes saying “I don’t know” is a satisfactory answer even if you are much older than 18 and not just entering the world of science). They identified weaknesses in their experiments, and suggested good follow-up experiments for the future. I was deeply impressed by their focus and presence of mind – I know for myself how hard it is to do a good Q&A session after giving a presentation. They are definitely going places – I hope they choose careers in science as they have what it takes to succeed. 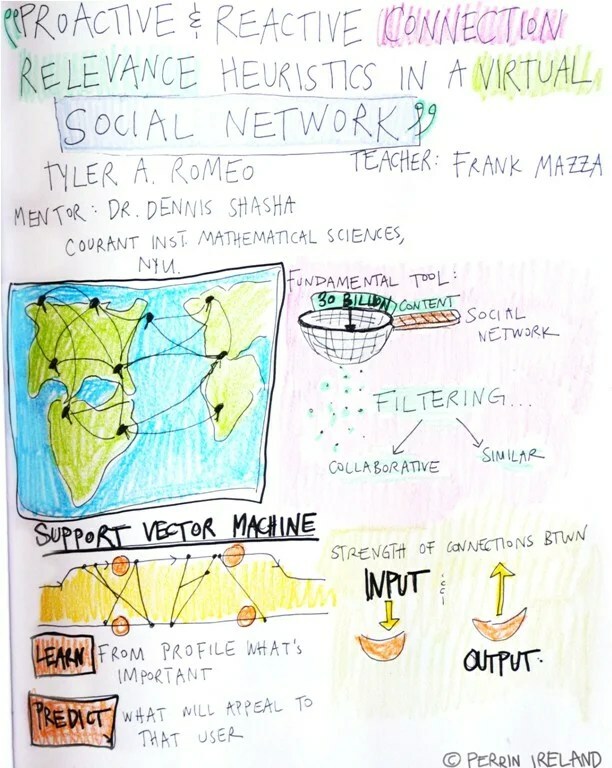 My first thought, after being so impressed by the presentations, was: why only four students? There must be many more talented students in New York schools, with aptitude for and interest in science and engineering. Finding the right match between three very busy people—the student, the teacher and the mentor—and then coordinating their times and sustaining the work and enthusiasm for an entire year must be quite a challenge. I am wondering how much a program like this can be scaled up to include more students. Also, having such a program in a city that is smaller, slower, less competitive than New York City, where fewer such educational organizations may exist but are more likely to see each other as collaborators than competitors, may be easier. It would be interesting to see how well similar programs do in other places. But for now, clearly, New York City takes the lead. Great job! Comments Off on A “sixth sense” for earthquake prediction? Give me a break!